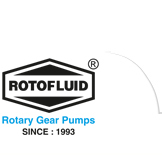 Gearing up to be a “Global Leader in the World ” of Rotary Gear Pumps. We adapt to the changes and meet the challenges by creative entrepreneurship, empowered teamwork, continuous improvements, environment friendly practices and optimize profits to delight our stakeholders. To deliver best quality product at affordable price coupled with excellent after sales service support. Remain "Always A Step Ahead in Technology" by Continuously investing in research and development to cater to new applications, industries and segments as well as improvement of our existing product ranges.